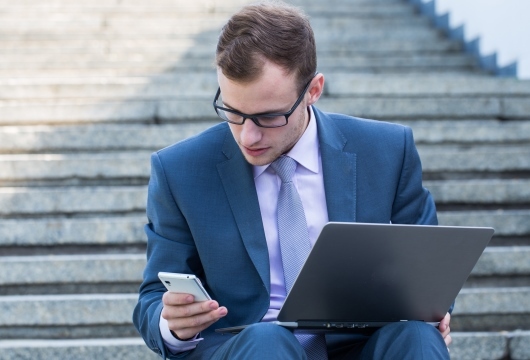 Should the increased use of mobile devices for work purposes come with a health warning? 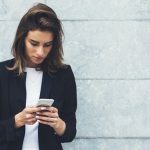 Using mobile devices for work purposes (known as Mobile Working) is becoming more and more common, but how many of us are aware of the increased strain on our joints and muscles (musculoskeletal) and eyes as a result? Some of you may have seen the link we posted earlier this month with a free guide about Mobile Working: file:///C:/Users/EV/Downloads/Mobile%20Working%20Guide.pdf This detailed guide, compiled by the Chartered Institute of Ergonomics and Human Factors (CIEHF), provides practical information for both employers and employees on the changes in how we work, recognising the risk factors, and how to prevent or reduce them. This shift in how and where we work has many positives, and can enhance our work-life balance. However, with ‘work’ no longer being confined to a static desk area, new challenges arise so that we find ourselves working in awkward positions that are far from ideal for our posture. The basic design of a laptop is not ergonomic from a musculoskeletal point of view – simply put it is not possible to work on a laptop without causing some strain on our body. (Refer to the CIEHF report for further details) A good working posture whilst using a laptop within the workplace can be achieved by using a combination of laptop stand, separate monitors and keyboard; however this isn’t really practical for mobile working. Also, being hunched over when using a phone puts a strain on our neck and shoulders known as “texting neck”. By tilting our head forwards the strain on our neck and shoulders increases which can lead to fatigue and headaches and long-lasting postural problems can occur as a result. Added to this is the repetitive strain on thumbs, ‘thumb texting’ using thumbs rather than forefinger to key in text. The report also questions: “Why do we not get the same problem with books or magazines?” apparently this is because we alter our neck posture when reading and use more ‘micro-movements’ compared with using a tablet, thus reducing neck strain. With the aim of tackling the associated risks of mobile working, The CIEHF’s guide includes information from the Health & Safety Executive (HSE) which advises that you should take a break (or change your work activity) after every 15 minutes of constant working on a mobile device. This is in contrast to the HSE guidance of a 5-10 minute break every hour when working on an ergonomically set-up workstation, and indicates how detrimental sustained work on a mobile device can be to our wellbeing. I recommend taking the time to download, read and digest the valuable advice given in the CIEHF guide, especially if you believe in the motto “prevention is better than cure”, and make a start to being more conscious about how you use mobile devices. Note: The Chartered Institute of Ergonomics & Human Factors (CIEHF) is the UK’s professional body for the scientific discipline of ergonomics and human factors.